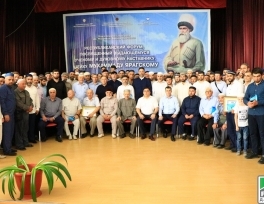 Large-scale forum dedicated to the Muslim philosopher, scientist and spiritual enlightener Sheikh Muhammad al-Yaraghi was held in the Magaramkent district of Dagestan. 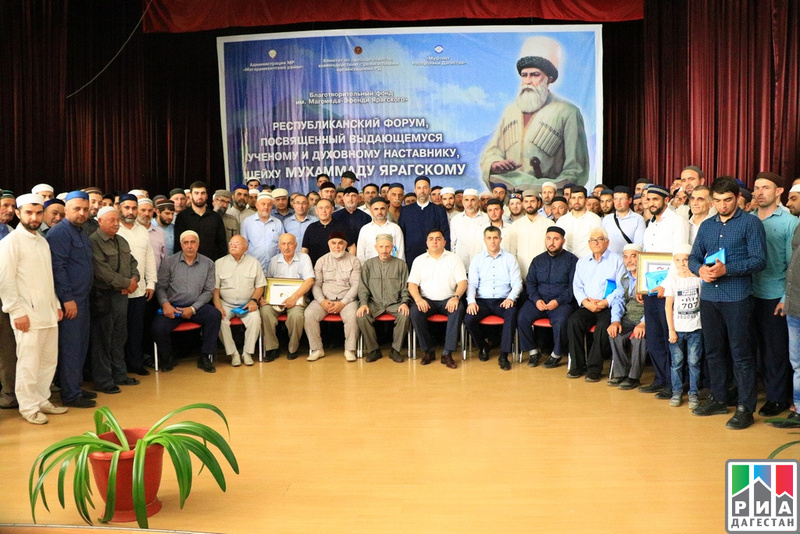 The event was organized jointly with the Muftiyat of the Republic of Dagestan, Committee on Freedom of Conscience and interaction with religious organizations of the Republic of Dagestan and the Charity Fund named after Magomed Efendi Yaragsky. The Forum was attended by guests from all over the Republic of Dagestan and the Chechen Republic. Among them, Mufti of the Republic of Dagestan Ahmad-haji Abdulaev, Chairman of the Committee on freedom of conscience and interaction with religious organizations Magomed Abdurakhmanov, Deputy Mufti of the Chechen Republic Ansar-Haji Khatiev, assistant to the Head of the Republic of Dagestan - representative in the Southern Territorial District Zamir Shaidabekov, representative of the Head of the Caucasus Muslims Office for Dagestan and the North Caucasus Shagabitdin Haji Kerimov and other officials. The forum was opened by Head of the District Farid Ahmedov, who greeted all the guests and forum participants and expressed gratitude to the Mufti of the Republic of Dagestan Ahmad-haji Abdulaev for personal participation in the event. "Today's forum is dedicated to the memory of one of the great people in the history of our land - Sheikh Magomed Yaragsky, a Muslim philosopher and spiritual enlightener. Magomed Yaragsky had a great influence on the socio-political process of that time. We continue to remember him, we appreciate his contribution to the liberation of all the peoples of Dagestan from the colonial and within the feudal oppression. His legacy must live and serve as an example of a real civic position of a person who, having received wide knowledge, managed to use them and tell our peoples the right way. This is the path that helped Dagestan to survive, preserve dignity and choose the best conditions for the coexistence of our ancestors in the realities of that time. Today history confirms that his teachings, his instructions to Imams and the rest of Dagestanis were directed to the triumph of human dignity in protecting his native land from hostile encroachments. In this regard, Sheikh Magomed Yaraghi will always be a vivid representative of the Dagestani land, thanks to which the unconquered spirit still lives in us, and this is worth a lot. There are many examples in history when we showed our unconquered national spirit, unity - which Shaykh Yaragsky always called for and such spiritual heritage that helps us in difficult moments, should live, and the teachings of Magomed Yaragsky should feed the younger generation, and remain worthy heirs of their bright representatives of history," the Head of the District said in his speech. The Deputy Mufti of the Chechen Republic Ansar-Haji Khatiev thanked for the invitation to this significant event and, noting the role of Magomed Yaragsky in the history and importance of preserving this heritage for the descendants, noted that on the initiative of the Head of the Chechen Republic Ramzan Kadyrov, the cemetery (ziyarat) of the Sheikh in Sogratl, where today pilgrims from all over the world go is repaired. Within the framework of the forum, a scene from the life of the theologian was also demonstrated and a poem in memory of the righteous-grandfather was read by a his descendant in the sixth generation.